Resource center Valium Addiction and the Rehab Process How Can Doctor-Prescribed Valium Lead to an Addiction? Many people still assumed that prescription medications are generally safe because they’re given out by doctors. National surveys have found that people even consider them to be safe to abuse or at least much safer to abuse than illicit “street” drugs like cocaine and heroin. Though there are unique dangers to taking street intoxicants, abusing substances is always dangerous, no matter where they come from. One of the aspects of prescription drugs that is no different from illicit drugs is that they can be just as addictive. Anyone who regularly abuses addictive medications runs the risk of developing a dependency. Furthermore, though it’s not as likely, people taking prescription drugs as directed by a doctor can also end up addicted, especially if left on the medication for an extended period of time. This is particularly true for drugs of the benzodiazepine class, which includes Valium. Valium is well known for its use as a sedative prior to surgery and other invasive, stressful medical procedures. It can also be prescribed for the treatment of anxiety disorders, insomnia, restless leg syndrome, muscle spasms, seizures, and alcohol withdrawal syndrome. 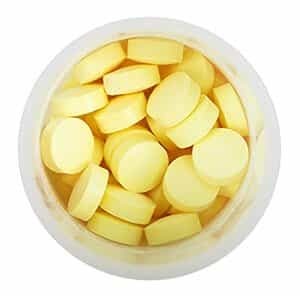 Valium is extremely effective at relaxing muscles and calming minds, as it depresses the central nervous system and increases activity in areas of the brain associated with natural calming functions. In high doses, it can create a mild euphoria followed by a generally pleasant state of relaxation and happiness, making it a popular drug of abuse. According to recent studies, around 5.2 percent of Americans age 18-80 use benzodiazepines regularly. Benzodiazepines like Valium rapidly produce tolerance in the user’s brain. This is true even if the drug is taken as directed. Because of this, Valium is only supposed to be used on a short-term basis. Unfortunately, if symptoms are not effectively controlled by other treatment methods, people can end up being on these medications for too long. People may also keep seeking out Valium on their own if a doctor tries to take them off it due to an already developing addiction or a simple desire to continue some form of treatment for unbearable symptoms. Especially when stopping intake of the medication all at once, suicidal thoughts and urges can emerge, and in rare cases, people may suffer from seizures that can be life-threatening. Doctors are very likely to recommended a tapering program in which doses are gradually lowered over time.